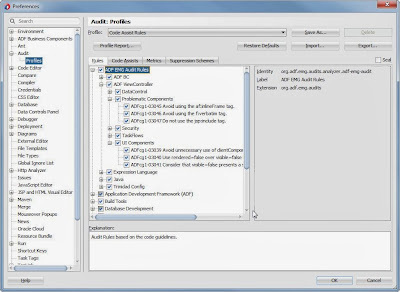 Today at the UKOUG I showed a new plug-in for JDeveloper 12c together with Wilfred, the ADF EMG Audit Rules. 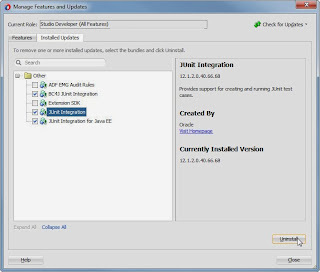 You can find it through JDevelopers Check for Updates in the Help menu. 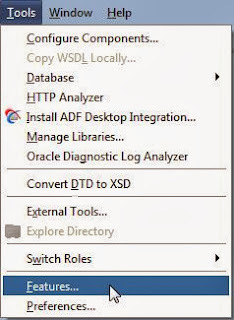 This plug-in is a starting point for creating rules out of the code guidelines document you can find on the ADF Architecture square. In two previous blogs I showed you how to create audit rules and how to create a fix for your audit rule using the JDeveloper Extension Framework. If you want to get your hands dirty writing some of your own rules, there now is a good starting point for that. 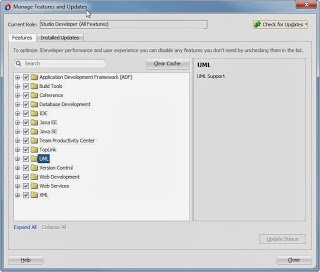 The idea was created during a few sessions with Wilfred van der Deijl creating our presentation, Quality Assurance with the JDeveloper Auditing Framework, for the UKOUG. 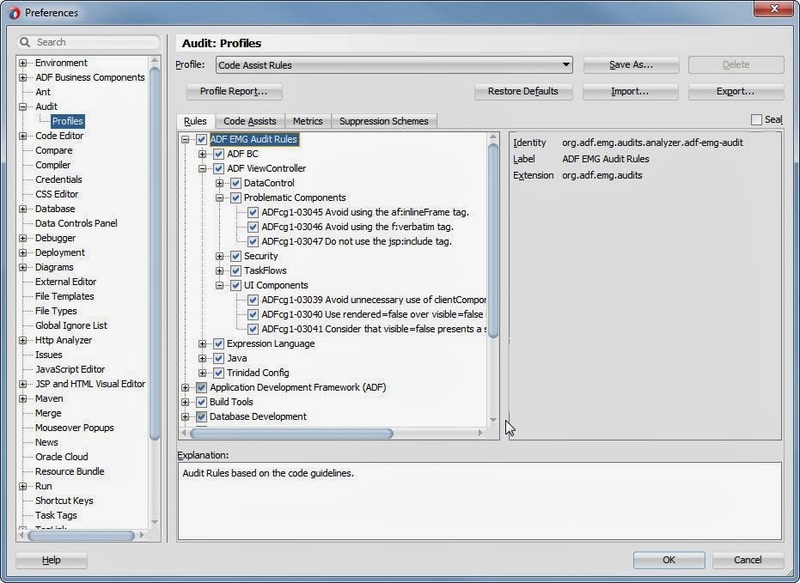 The goal is to try and create an extension project, to automate ADF coding standards and best practises. 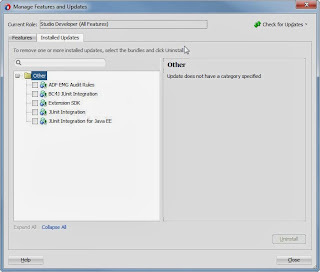 The current idea is to use the ADF Code Guidelines document as starting point to create custom rules. As time is always a critical matter in situations like this, all help is welcome. Anyone who wants to contribute and help us writing code/rules/fixes/etc is welcome to do so. I think it would be a create feature for the whole ADF community if we can write an extension that checks the most common pitfalls already during development. As we speak we’re still working on an SonarQube plug-in to automate this rules and make them visible in JDeveloper as well as SonarQube. 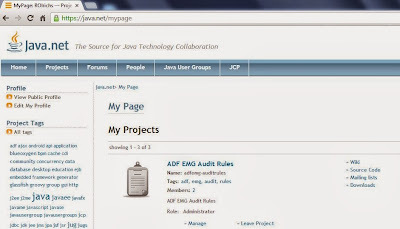 - The ADF EMG Audit Rules project on java.net. - The ADF EMG on google. - A thread on ADF EMG about this subject. 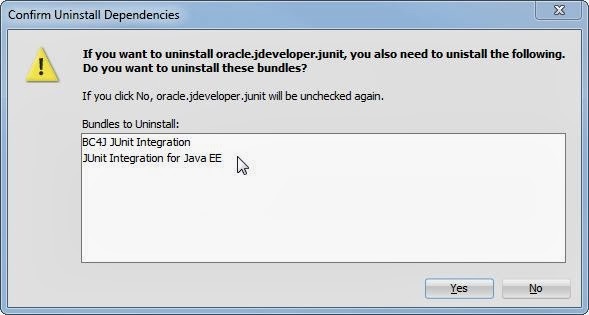 Since JDeveloper 12c it’s possible to uninstall extension from your JDeveloper, without deleting jar files and cache directories manually. However, the feature is a little bit hidden, it’s not in your preferences, but in the feature section. You get there through the Tools menu. Here you can manage your features, check for updates and clear the cache if you want to. 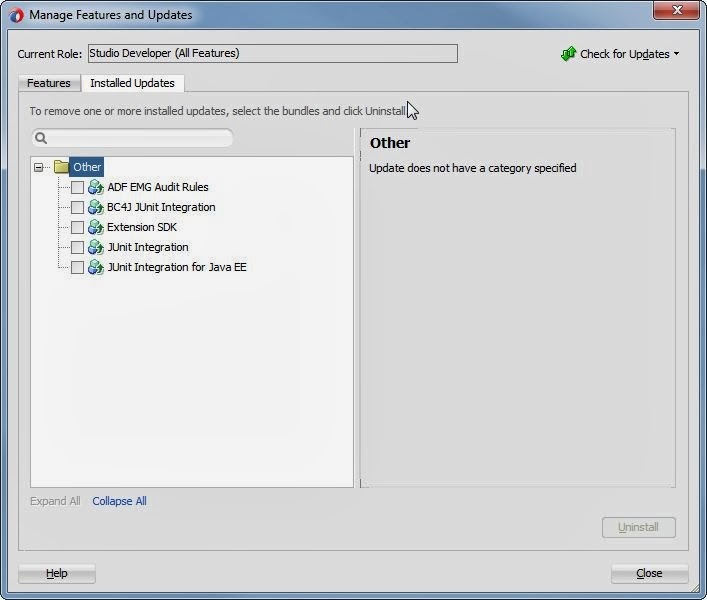 Now if you go to the second tab, installed updates, you get an overview of the updates installed on your JDeveloper. 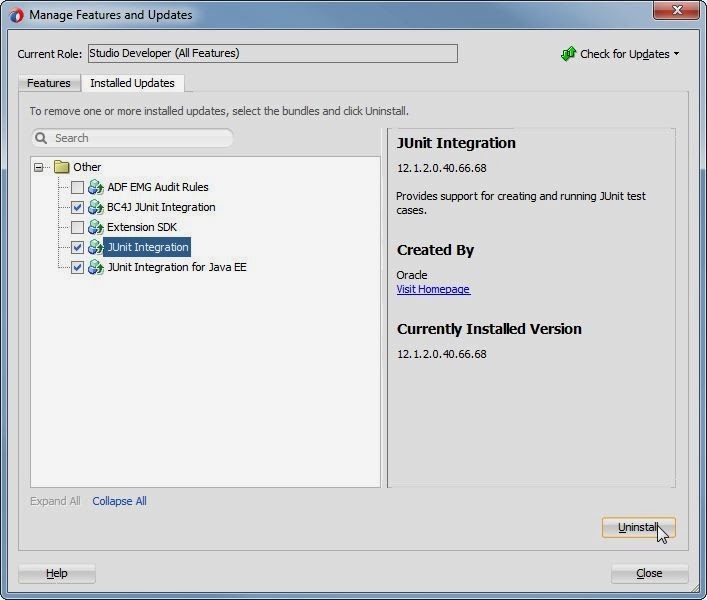 If you tick for example JUnit, JDeveloper is also smart enough to recognize the dependency. It warns you that you need to uninstall both the bundles. 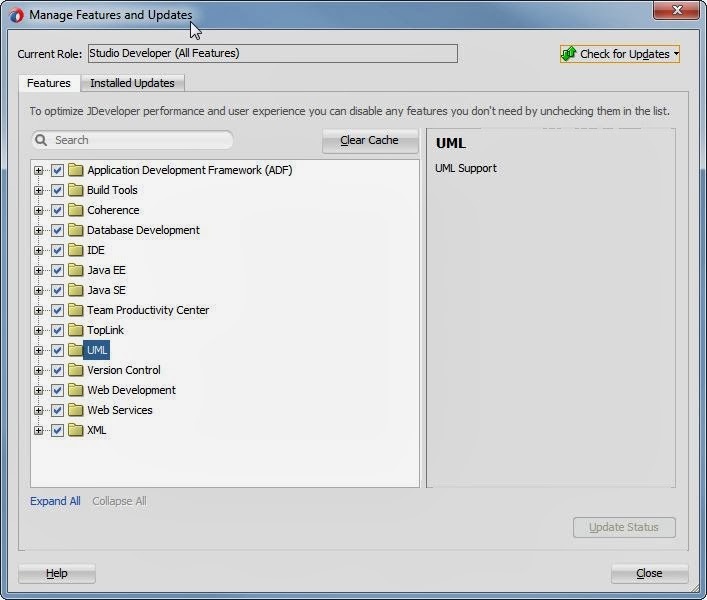 Next you can click the uninstall button and restart JDeveloper. 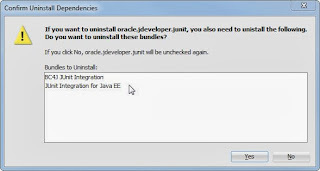 That's all it takes to uninstall an extension in JDeveloper 12c.